Booking a Professional made fast and easy! Homeowners may wonder if they should remove their popcorn ceilings for a more modern, polished look. There are both advantages and disadvantages of popcorn ceilings and those considering changing should learn the facts before making a decision. 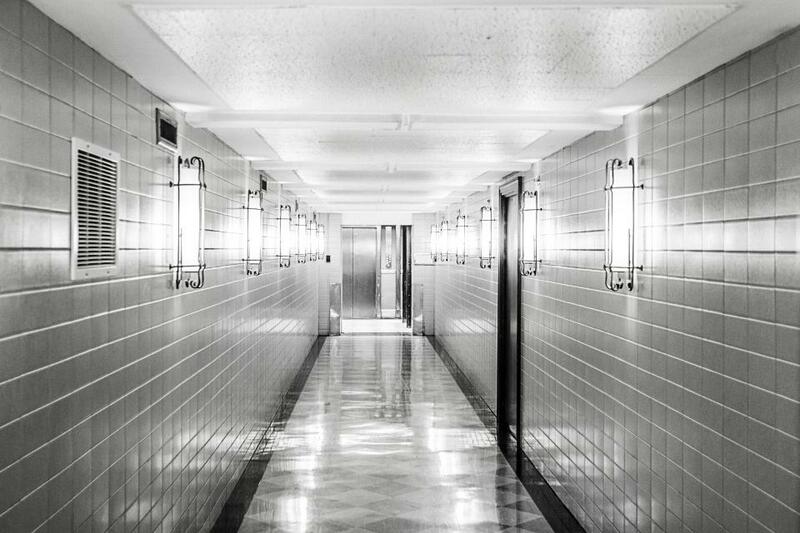 White, bumpy ceilings started appearing in American and Canadian homes in the 1930s. It was largely a style choice, but it had some practical advantages as well. It was cheaper than painting a ceiling. The stippled technique was also quicker to apply than the time it takes to paint a ceiling. Another factor making popcorn ceilings popular is they hid flaws contractors or homeowners didn't want to spend time or money fixing. No one had to patch small holes or cracks or sand them down. The popcorn ceiling covered them up. It was an efficient, effective method for construction. The ceiling technique started falling out of favor with homeowners in the 1970s, but contractors continued to use the technique in home building through the 1990s. Reasons for a decrease in popularity include health risks associated with asbestos found in some mixtures and style preferences. Popcorn ceilings are also called acoustic ceilings, stucco ceilings or cottage cheese ceilings. The term acoustic ceilings stem from the fact that the texture absorbs sounds better than painted ceilings. This makes rooms overall quieter and would be a good choice for rooms where there will be a lot of music, whether it is a room where children practice on instruments or a teen's room where they have a stereo or gaming system. The stippled ceilings earned the stucco title because some contractors use stucco to get the right texture. It is also called cottage cheese ceilings because popcorn ceilings are traditionally white and resemble cottage cheese. The mix that creates the bumpy, popcorn effect includes products like styrofoam or stucco. Originally, some popcorn ceiling mixtures included asbestos as a binding ingredient. Adoption of the Clean Air Act in the United States resulted in banning asbestos, which was linked to serious health problems including cancer. Contractors switched to different materials in the mixture, but many homeowners began opting for painted ceilings. Many homes, particularly older or less expensive homes, have popcorn ceilings. Those who have older homes may want to have a popcorn ceiling asbestos test and then having them removed. Most experts agree homeowners are not at risk as long as ceilings are not disturbed. One removal begins, you will need to be sure to remove all of the product along with its dust. It is best to hire a professional to do this job it will require safety equipment. Some believe these type of textured ceilings are outdated and really wanted the modern look of clean, painted ceilings. Painted ceilings have one style advantage in that you can change the color rather easily. However, popcorn ceilings have a distinct advantage in that they hide housing flaws. Those who don't want to completely repair cosmetic flaws or who want to cover a bad repair will find that stucco ceilings can be their best solution. Painted ceilings also reflect light evenly because it's a flat surface, so every problem area will suddenly become visible. One disadvantage of a popcorn ceiling is in cleaning them. The stippling can collect dirt within the spaces and on the tips of the bumps. A duster or broom can be used to clean the ceiling easily enough, but that often results in some of the mixture falling off and that can leave a mess on the floor or furniture. Eventually, areas of the ceiling will need to be repaired. Some people find a vacuum works really well. Just be careful not to press hard. 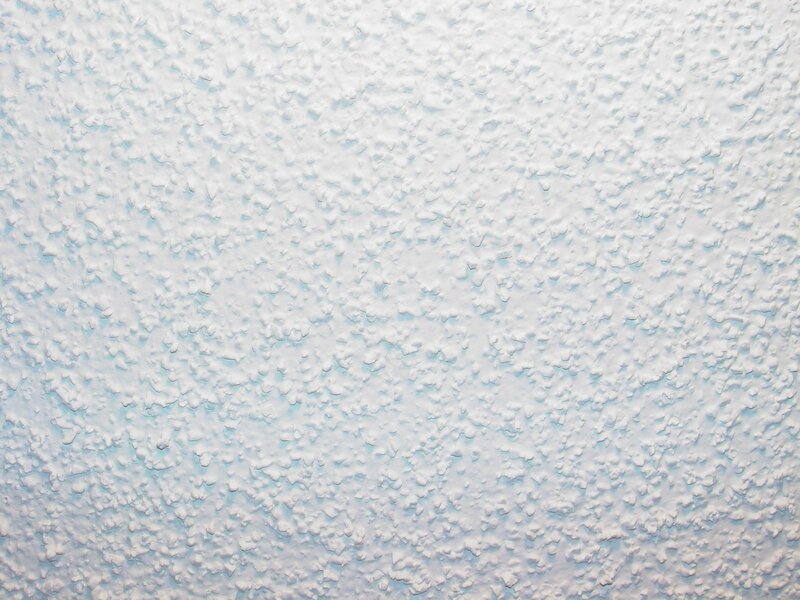 The one thing that can ruin a popcorn ceiling is water damage, causing the stipple to fall. You should get your roof repaired at the first sighting of a popcorn ceiling water stain. Popcorn ceiling repair is relatively simple and you can do it yourself, but can take time. The first thing to do is clear the damaged area of remaining stippling. You must sand it down to a smooth surface to apply a popcorn ceiling drywall. The plaster must be sanded again to match the rest of the ceiling and then it needs to be painted. To paint the damaged area, you will need a popcorn ceiling spray product or use a segmented foam roller to apply the popcorn ceiling mixture. Where Can I Put a Popcorn Ceiling? Popcorn ceilings can go in any room, but home experts recommend not to put them in rooms where there will be humidity, like kitchens and bathrooms, because water can cause damage over time. Garages are also not the best place for a popcorn ceiling because rain and moisture can enter a garage more easily than other areas, causing the ceiling to wear out sooner than inside the home. However, you will do well to do a popcorn ceiling install in rooms that are expected to have more noise, such as sound from televisions, video games, and other electronics and stereos, since the popcorn ceiling acoustics are great. Popcorn ceiling removal can be done by a professional or you can try removing a popcorn ceiling yourself. You will need to get a popcorn ceiling removal machine rental to make the job easier. It may pay you to get a popcorn ceiling removal quote before trying it yourself. Ultimately, the final decision of whether to keep or remove popcorn ceilings is up to you. Your decision will depend not only on style but on the cost and time involved of both removal and creating a smooth ceiling along with any safety concerns. A professional can help answer all your questions about removing the popcorn ceiling and creating a smooth surface Weighing out all of the benefits and disadvantages will help you make a decision that is right for you. Do you really consider dusting off the Yellow Pages at home when you need to look for a skilled contractor? Or do you prefer sticking to the local newspaper? Today, mobile integration and the constant need to stay connected to the internet have people looking at their smartphone screens when they need something. This can even be a plumber to fix a leaky sink or an estate attorney to help develop an estate plan. Nevertheless, this automatically indicates that instead of looking around the newspaper, you are more likely to Google the service you need. But unfortunately, at times, that doesn’t deliver satisfactory results either. SkilledHub is a professional business directory that offers you a convenient platform to scout for professional skilled services in the easiest possible manner. The platform is completely free for visitors and assures that you can secure just the service you need in the least amount of time. Are you still wondering why you should look around our website when you need professional skilled services? * The best part about SkilledHub is that you don’t need to waste your time and energy flipping pages. All the professional skilled service providers are already categorized and waiting to be contacted by you. * The website offers easy navigation so that you don’t have to do much of the work. You can select the nature of the services you need and then select your location to get the most relevant matches. * With the online appointment booking feature, you can set up an appointment with whatever service you like in just a matter of minutes. * Customers can also leave reviews and ratings to make decisions easier for other visitors. These are just a few reasons why you should consider creating your SkilledHub account today! There appears to be a new job boom beginning. Many of the careers that are becoming available have starting wages at $15 to $17 per hour. Many of the trade schools are having employers head hunt for students before they even graduate. This is a sign for a solid market in skilled trade jobs. Tradespeople a re highly skilled and hardworking professionals. They have an entrepreneurial mind set that is helping them gain recognition that they have needed for a long time. Their field is highly in demand around the world, it requires a lot of skill to be a tradesperson.